Have you ever considered the lifecycle of a document? An entire process takes place from the moment a document is created until it is destroyed. That process is the pathway for critical information about your organization to be distributed to potential customers and the world. We are trailblazers who clear path for your documents from generation to distribution, to archival, to retention and destruction. 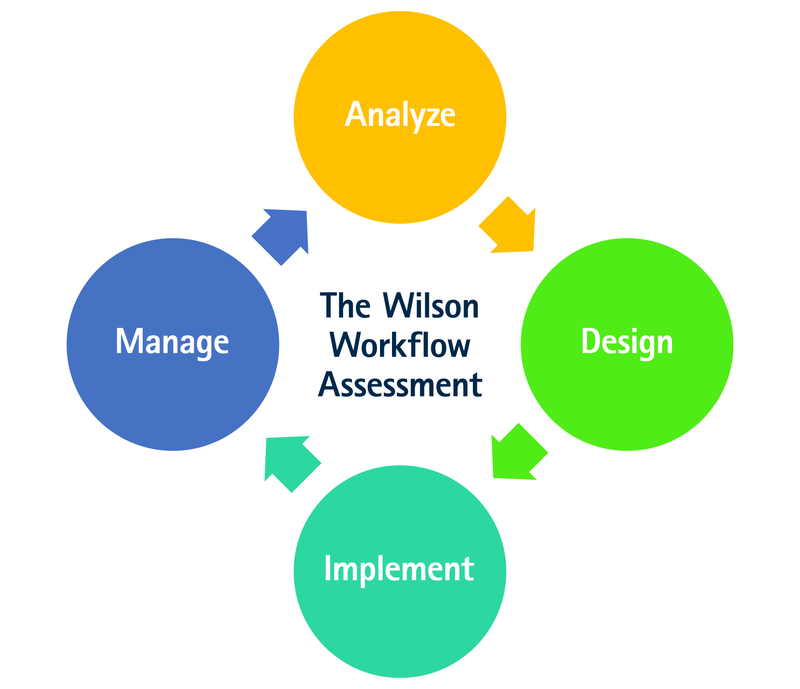 This is accomplished through the Wilson Workflow Assessment. Assess scanning, printing, copying, postage and outsource jobs to determine “workflow”. Evaluate hardware and software effectiveness. Calculate costs and create a budget. Provide equipment recommendations for new technology. Consolidate, eliminate and manage existing devices. Utilize coterminous leasing to eliminate multiple invoices and various termination dates. Convenient placement of new technology and existing devices. Customize device interfaces for the most economical use of equipment. Training is included with all systems and services provided. Ensure that all devices are performing at full potential. Execute service calls within a four hour timeframe. Empower IT to focus on critical tasks while The Wilson Group manages desktop printing. Customer reviews every 90 days to evaluate workflow effectiveness.